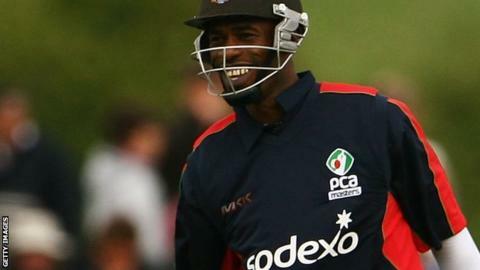 Former England all-rounder Chris Lewis will visit every first-class county before the season to try to ensure no player follows his path into crime. Lewis, 48, was released from prison in 2015 after serving less than half of a 13-year sentence for drug smuggling. "I've been through the experience - a lot has happened," he told BBC Sport. "I could help young players to avoid some of the pitfalls that you may face in a professional career in modern-day sport." Lewis, who played 32 Tests for England between 1990 and 1996, added: "There are pressures of being a top sportsman, but we're in a very privileged position. After all, you're doing the thing that you love. "But there's not necessarily enough thought going into the planning because of all the money that can be around you, because of a feeling that you can be invincible." Lewis was convicted in 2009 after being caught smuggling liquid cocaine into Britain from St Lucia. He has struggled to make ends meet since he left prison in June 2015, but earns some income through office work. His tour of the 18 first-class counties has been organised by the Professional Cricketers' Association and the only payment Lewis will receive is his travel expenses. ''One decision, or a couple of decisions, made over a lifetime for me shouldn't necessarily define who you are," added Lewis, who will begin his tour at his old county Leicestershire on Monday. "With that experience I can do this and I can do that and you keep on moving. Once you've recognised you've made the wrong choice, you keep moving." The County Championship season starts on 10 April.